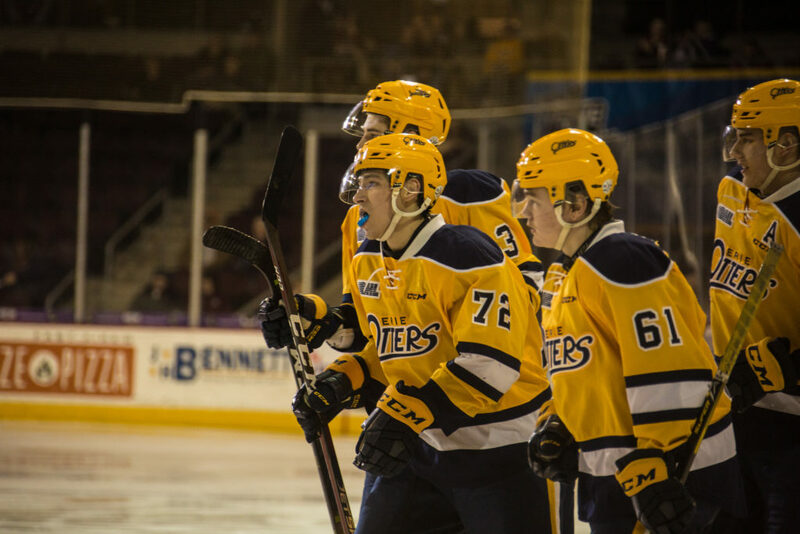 ERIE, PA – The Otters returned home on Wednesday evening to take on their division rival Kitchener Rangers at Erie Insurance Arena. The teams traded opportunities for several minutes to open the game, but Kitchener would break through and pull ahead with a late goal from Greg Meireles. Minutes later, Gera Poddubnyi netted his 24th of the season on a 2-on-1 shorthanded chance with Chad Yetman, who collected the assist. Michael Vukojevic scored just 30 seconds later for Kitchener on a powerplay chance, and the Rangers entered the intermission ahead by a goal. In the second, both teams found the back of the net in the first two minutes. Joseph Garreffa scored first for Kitchener, and was answered by Petr Cajka for Erie. Kitchener added additional goals from Rickard Hugg, Donovan Sebrango, and a second from Joseph Garreffa to make it 6-2 heading into the third. In the final frame, Kitchener kept things going with a quick goal from Rickard Hugg for his second of the game. Joseph Garreffa found the back of the net for the third time of the game near the halfway point of the period, and extended the Ranger lead to six. On a late Erie powerplay, Petr Cajka scored his second of the evening, and Jamie Drysdale scored off of a shot from the point, but it proved to be too little, too late and the Otters lost this one 8-4. The Otters will back at home on Friday night when they take on the Oshawa Generals at 7:00PM.